According to globally accepted supply chain management principles (such as those of Lean and the Toyota Production System), building and maintaining product inventories is wasteful. In an ideal state, companies would acquire the right material, at the right time, at the right place, and in the exact amount. This is called Just-In-Time (JIT) inventory management. However, many HR, recruiting and staffing organizations push their teams in the exact opposite direction – focusing specifically on building candidate inventories through “proactive” recruiting, the theory being that when a specific need arises, they might already have candidates already identified in their inventory. This begs the question – why don’t more organizations adopt Just-In-Time (JIT) talent identification and acquisition into their Human Capital supply chain management philosohphies and systems? I think there are 2 major reasons for this: #1 Many sourcers and recruiters rely heavily upon cold calling, referral recruiting, and posting jobs to find talent, and #2 Most HR, recruiting and staffing organizations don’t (or are simply not able to) effectively leverage technology. While cold calling into companies, referral recruiting, and posting jobs can be effective techniques for identifying talent, they are slow, time-intensive processes that have an intrinsically low probability of delivering precisely the right talent quickly for any specific manager or client request. Additionally, posting jobs yields a very low percentage of qualified applicants – sometimes less than 5%-10%. Using only these methods, if a recruiter waited for a client or manager request before they began recruiting, it could literally take weeks or months to find the right people, which certainly would not be delivering value to the client (a core Lean principle), nor would it provide a timely flow (another core Lean principle) of candidate submissions in response to the client’s or manager’s request. To compensate for this, recruiters really have no choice other than to proactively recruit candidates even when they don’t have an active opening/need, in the hopes of having candidates whenever they do receive a job order/request. However, hope is not a strategy. The second reason why many HR, recruiting and staffing professionals and organizations focus heavily on proactive/pipeline recruiting is because they either #1 Do not have the right staffing technology in place to achieve JIT talent identification and acquisition, or #2 Do not know how to leverage technology in order to achieve JIT talent identification and acquisition, or both. Without the knowledge and capability to properly leverage information systems (internal resume databases, the Internet, online job boards, etc.) the vast majority of recruiters are simply unable to respond to a client’s/manager’s request with precisely the right talent within 24-48 hours. So they must, out of sheer necessity, proactively develop a cache of candidates that might match a job opening that might come out in the near future. In contrast, sourcers and recruiters who have a mastery of advanced database searching techniques (Boolean, extended Boolean, semantic search, etc.) coupled with access to a large internal resume database, the Internet, job boards, etc., can identify and deliver the right talent within 24-48 hours. HR, recruiting and staffing organizations should not be trying to have the right candidates at the right time by hope or chance, but by design – and technology can be leveraged to do exactly that. If the recruiting and staffing industry adhered to proven and sound Lean supply chain principles, sourcers and recruiters would not focus their time primarily on proactively building a pipeline of candidates. Instead, sourcers and recruiters would focus their time primarily reactively recruiting in response to specific client/manager needs. Yes, you read correctly – I said the dreaded “reactive” word. When it comes to recruiting and staffing, “reactive” has negative connotations primarily because it is so often used when trying to explain why organizations have failed to identify and acquire the right talent at the right time….because their sourcers and recruiters were being “reactive” instead of being proactive. However, you typically won’t hear the dreaded “reactive” word uttered when fantastic candidates are identified within 24-28 hours. There is nothing intrinsically bad about reactive recruiting if it is performed for the right reasons by teams with the right capability and systems in place. In fact, “reacting” to need is a core principle of Lean systems and philosophy, referred to as “Pull,” and all production should be in direct response to Pull. 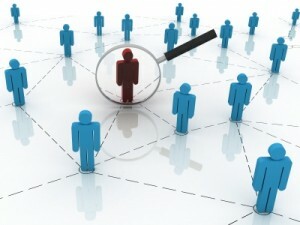 While responding specifically to manager/client Pull, sourcers and recruiters will actually also proactively build talent pipelines – any candidates sourced that are not the right match for the client or manager at that time automatically become pipeline candidates – they might be the right match for another manager/client request in the future. The primary focus of effort and activity is an important distinction. If a recruiter focuses their time on proactively recruiting for guessed future manager/client needs (Lean thinking believes that all forecasts are essentially guesses, no matter how “educated”), they are not acting in accordance with candidate or client/manager Pull, they are effectively decreasing the probability of having the right match for any given candidate or client/manager, and they are most assuredly creating waste and unused inventory. Restaurants strive to achieve JIT product delivery – the right meal, at the right time, in direct response to customer Pull. If restaurants operated like most HR, recruiting and staffing organizations, the proactive/pipeline recruiting equivalent would be for the kitchen to prepare meals prior to customers arriving at the establishment based on “forecasts” (read: guesses) as to how many and what types of meals will be ordered that day. It should be obvious how much waste this type of system would produce. Even though the restaurant may have a standard menu, customers will have specific requests on their side items and how they want their meals prepared. To prepare meals that may never be served to customers would produce significant waste, as would preparing meals before they are ready to be eaten, which is why the restaurant industry does not work this way. Restaurants are beholden to the Lean principles of Pull, Perfection, Value, and Flow. They create meals in direct response to customer requests, follow processes that prevent mistakes/waste/unused inventory, focus on ensuring that their service provides value to the customer, and that customers receive exactly what they order when they want it. Continuing with this analogy, the reason why restaurants are able to produce meals in a JIT manner – quickly and accurately in direct response to customers’ orders without having them prepared and cooked ahead of time – is that they already have the raw materials in stock to create nearly any possible order a customer might request – whether a standard item on the menu or a special request. HR, recruiting and staffing organizations would do well to evolve and to adopt Lean best practices and principles when it comes to Human Capital supply chain management, investing in technology and training that enables sourcers and recruiters to spend their time primarily focusing on achieving Just-In-Time talent delivery – having the right talent, at the right time, at the right place, and in the exact amount required.